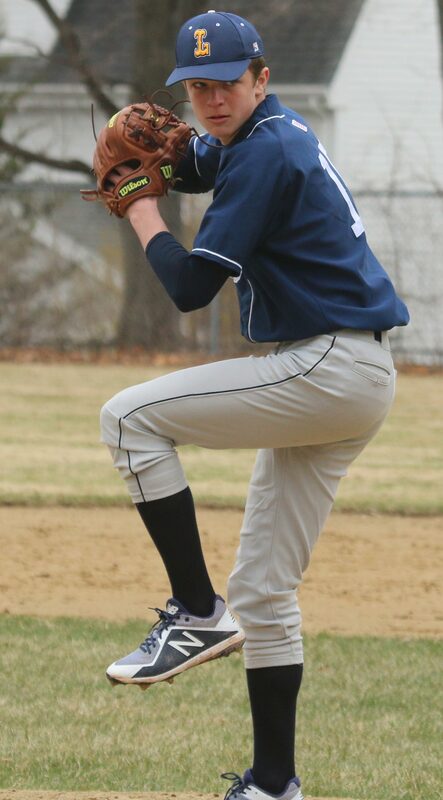 (Newburyport MA) Lynnfield sophomore Clay Marengi turned his first varsity start into an 8-1 win over Newburyport on Saturday. 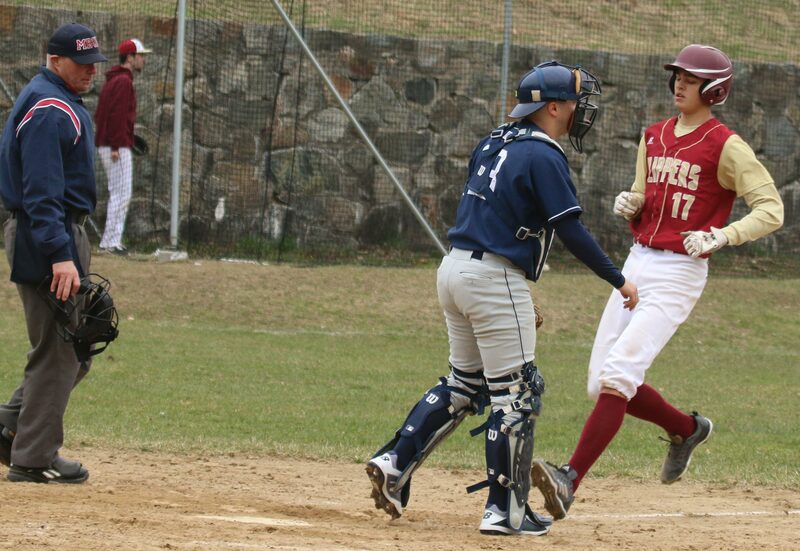 The Pioneers (2-1) put the ball in play with regularity collecting twelve hits. All nine starters reached base. 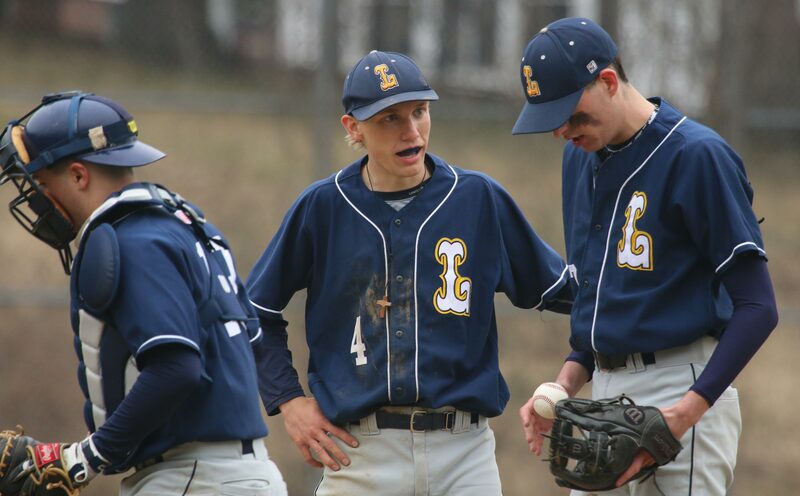 Joey Mack led LHS with three hits. Will Garfoli drove across three teammates. 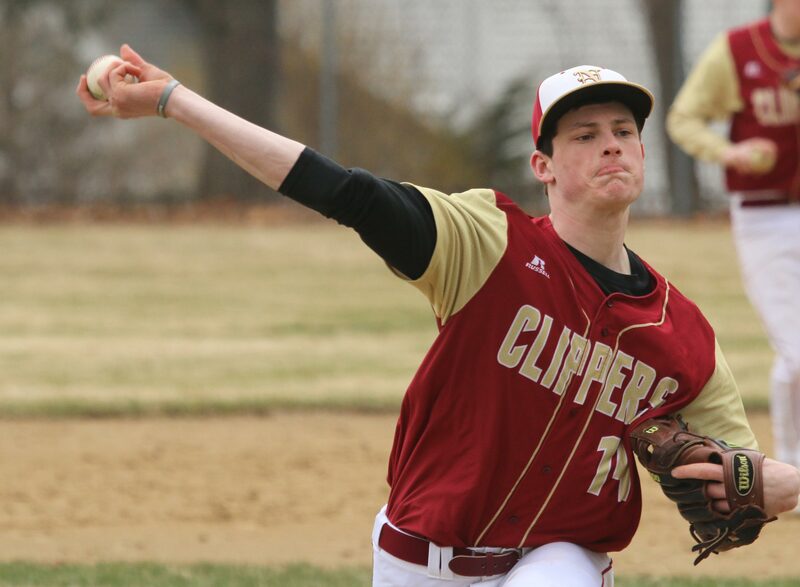 The Clippers (0-2) ran into another first-time starter (senior Andrew Manni of Masco) on Friday and came away with no hits and twelve strikeouts. Today it was Clay Marengi. 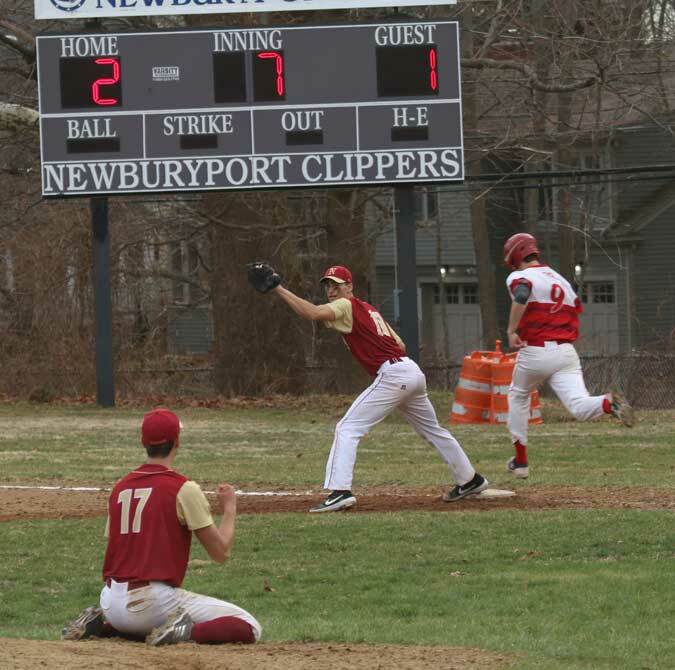 Clay held Newburyport to three hits in six innings of work. 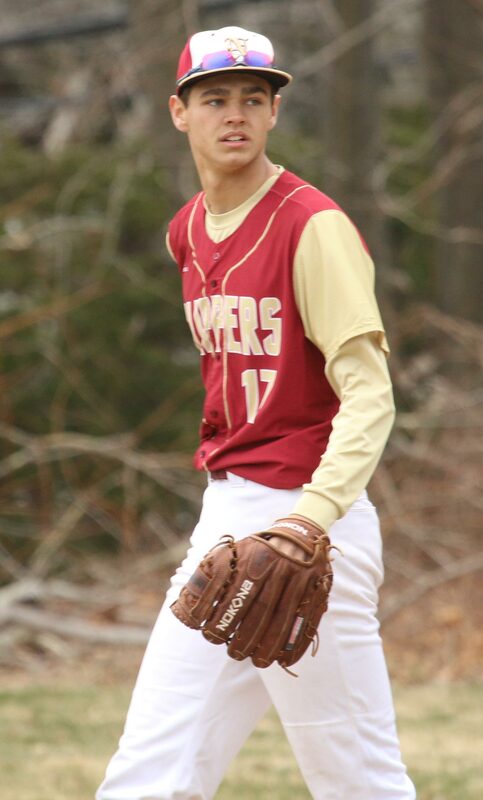 Dan Jameson finished off the 7th. 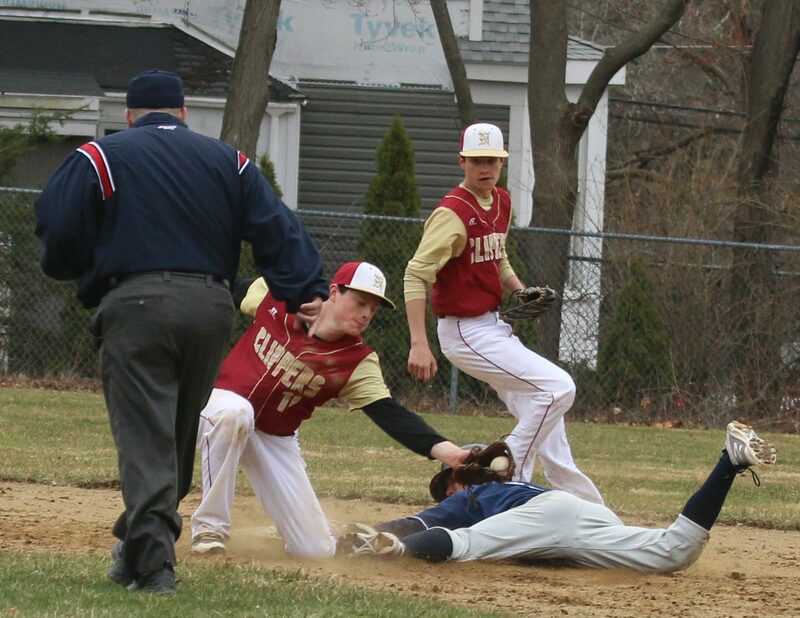 Newburyport threatened in the first with two on and one out, but Clay induced groundouts by Walker Bartkiewicz and Parker McLaren to escape. The Pioneers started both the fourth inning and the fifth inning with three straight hits and came away with three runs in each inning. 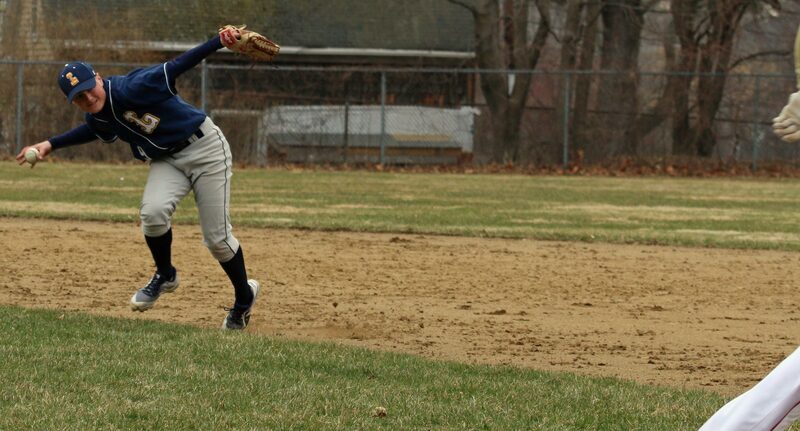 Five of their hits in the 3-run innings were on the ground and on this morning/afternoon they turned into runs. 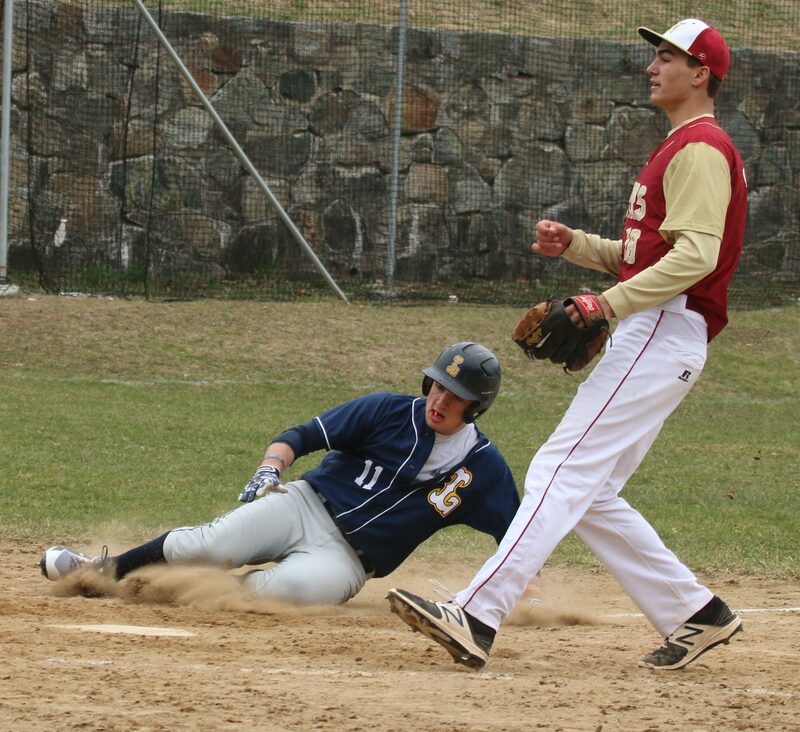 Joey Mack scored Lynnfield’s third run in the fourth inning and believe me it wasn’t easy. Joey fell down about fifteen feet from home plate and had to stumble/crawl the rest of the way. 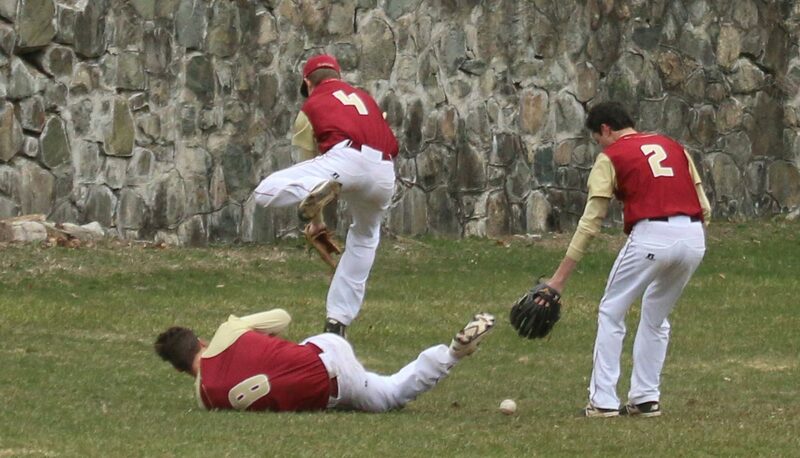 NHS shortstop Ryan Archie limited the Lynnfield damage in the 4th inning with a terrific running catch that he turned into an inning-ending double play. 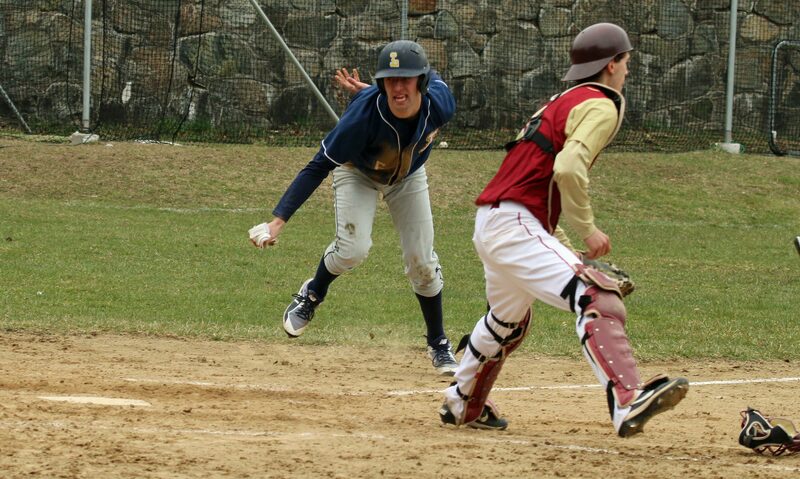 “Ryan has made very good defensive plays in both our games,” said Coach Rowe. The Clippers got their run in the 6th. 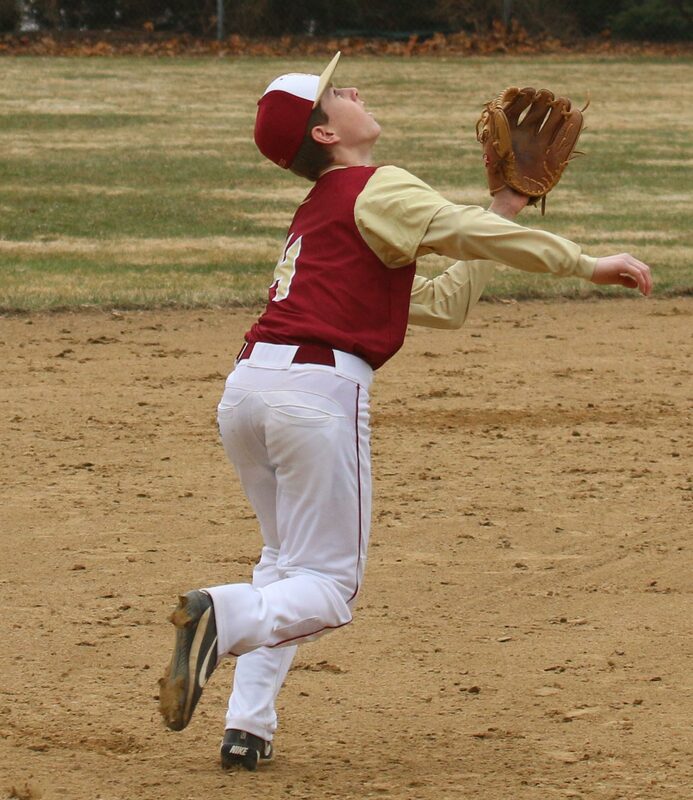 Casey McLaren reached on a fielder’s choice and took third on a single by Walker Bartkiewicz. 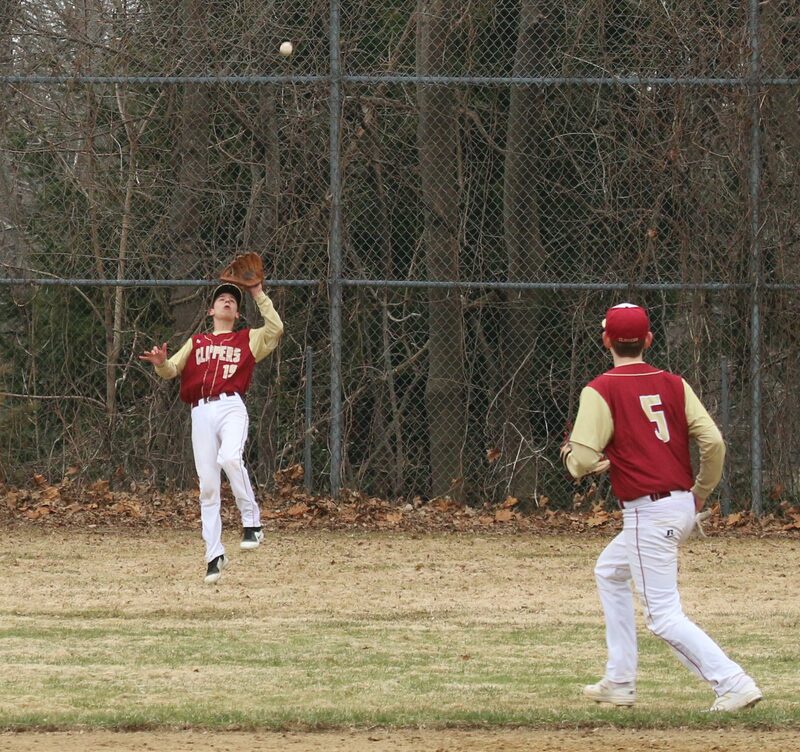 Walker’s steal attempt drew a bad throw and Casey scored from third. 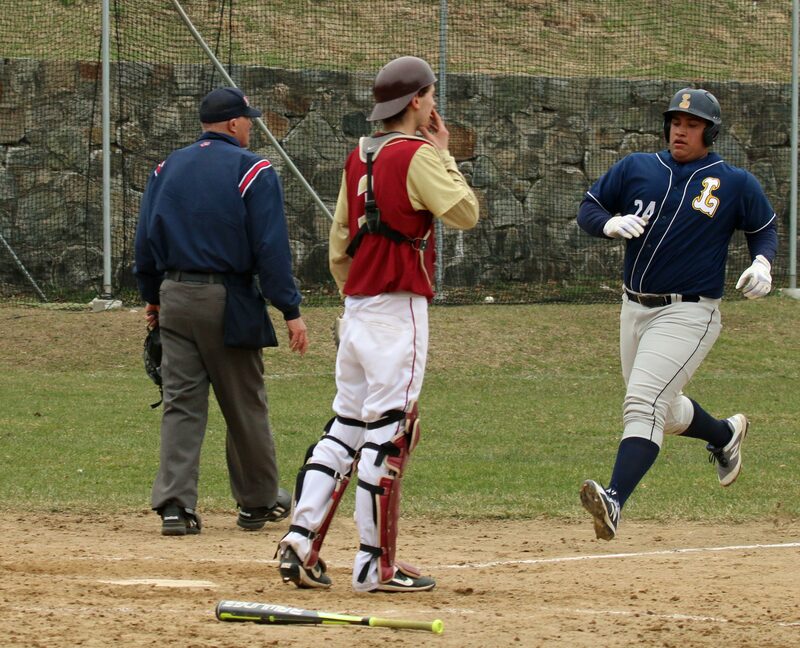 Will Garfoli drove across Lynnfield’s final two runs with a bases-loaded single in the seventh inning. The Pioneers were 18-2 in 2017 and graduated ten seniors. “Seven of those kids are playing college ball,” added Coach O’Brien. It looks to me as if the Pioneers have reloaded quickly. 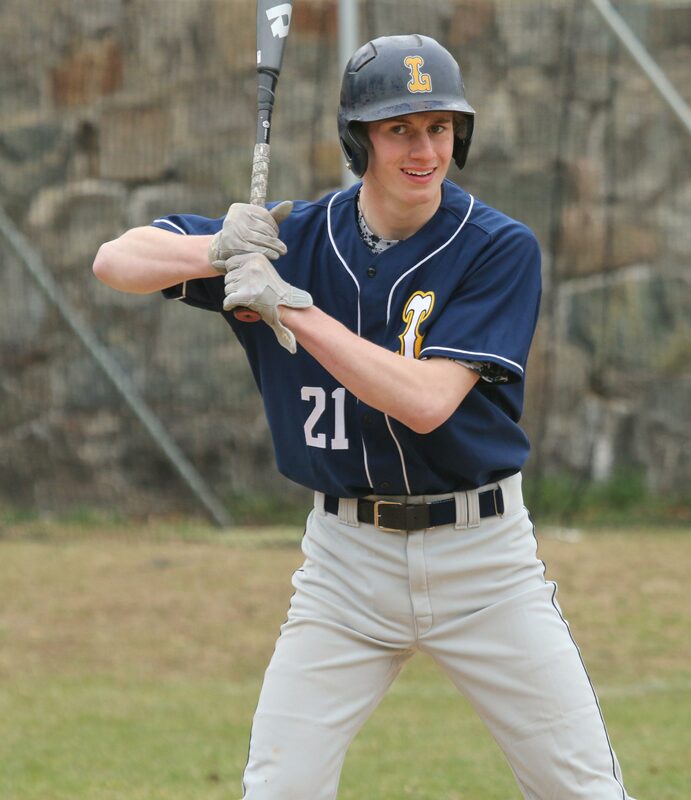 Discovering an effective starter like Clay Marengi should certainly help Lynnfield going forward. I was at Hadlock Field in Portland last night (Tim Tebow, Drew Pomeranz) and it was in the upper 50s. Today in Newburyport? 40’s, cloudy, and breezy! 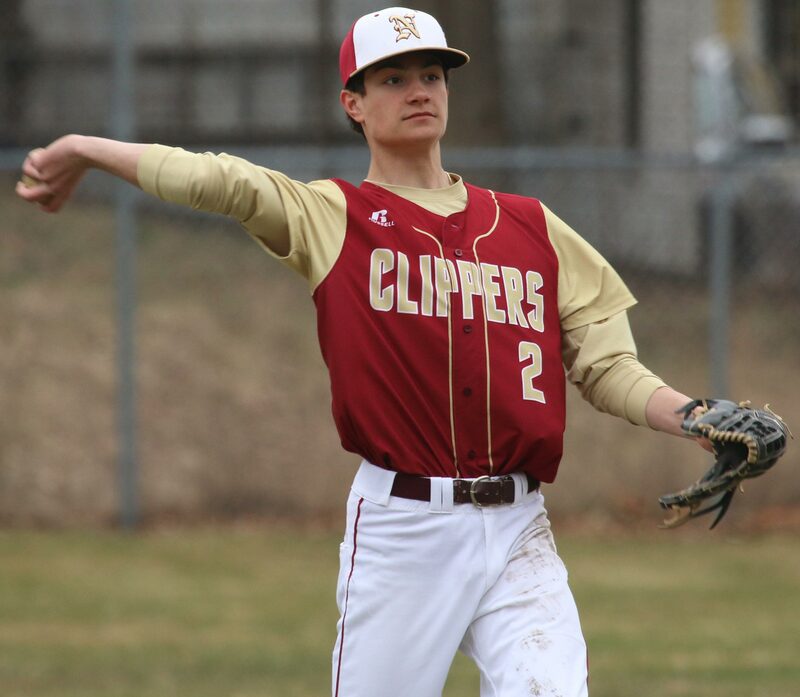 Cooper Marengi, Nick Giammarco, and Casey McLaren were listed by the Boston Herald before the season as players to watch in Division 3.